Retriever Workshops are becoming more and more popular and you have no doubt asked, “Should I attend one?” or “Should I attend more?” or “Which one(s) should I go to?” or “Are they worth it?” or “Should I be a handler or an observer” and so on! This review will give you some thoughts on these questions. As I write this, I have just returned from a Workshop offered by Andy Attar and Pat Burns in Cairo, GA in late January. It offered some unique content which I will describe. I have also been to other Workshops, as a handler and as an observer, plus I have been involved in many Workshops as a helper, as guest demonstrator, as co-presenter or as the only presenter. In addition, I have been to several horsemanship clinics. All of these, collectively, have really opened my eyes to how I learn and how others learn. Workshops are all about learning – that is why they have become so popular. Not too many decades ago, information about training retrievers was not only limited but many procedures and knowledge were closely guarded. I distinctly recall back in the mid 1980’s, when I gave a free 2 day workshop at my property in Ontario. I had trained only 3 Field Champions at the time and I had been using the e-collar for only about 4 years. What right did I have to give a Seminar? The answer is not much except for the following: I had dug out some training information and some techniques and some program steps that relatively few Amateurs, at least in my area, knew about. I had achieved some success with them and others were not only very interested but I was interested in sharing what I thought everybody should at least hear about. In those days, nobody seemed to know about literal casting or how to line up a dog or how to collar condition a dog, let alone correct one. Instead, they knew more about prods and tennis shoes and “we’ll show them” training. At trials, many dogs walked on blinds. Little did I know that a revolution in training was occurring but I did know the old ways had some problems even though there were some great dog men around! As it turns out, we had an excellent seminar and everybody was exchanging ideas and thoughts. I recall professional trainer Dan DeVos was there and he showed me the ABCD drill, at least as he had learned it from D.L Walters. I immediately adopted it including some modifications. Later, I had the opportunity to show it to Mike Lardy when he saw Dan doing very well on a field trial test and he asked me why. Mike promoted the ABCD and so did I in Retrievers ONLINE and other workshops. Today, the use of the ABCD is very widespread and helpful. I have often wondered if that would be the case without that early seminar. Even more important to me, was the lesson that I believe I learned more than almost any of the participants when I give a workshop. I had to get my thoughts organized and crystallized. I had to get the steps in the program I had developed (mostly from Rex Carr notes) clearly laid out. I had to rationalize what I did. And then, I learned from the feedback and the questions. It got us all thinking. I relate this story from 25 years ago simply because the lessons are as true today as then. Workshops are experiences from which everybody learns, the participants learn from the presenter, the presenter learns from the participants and the participants learn from each other. Add in the dogs and everybody learns more because every time you see dogs being trained you can learn something. I think the next Seminar I went to was by Mike Lardy and Andy Attar. Again, what an eye-opener as participants who had trained 1-10 dogs in their lifetime learn from those who train 20-24 dogs a day. When those teachers are also at the top of the game you are going to gain new knowledge about things you didn’t even know mattered. 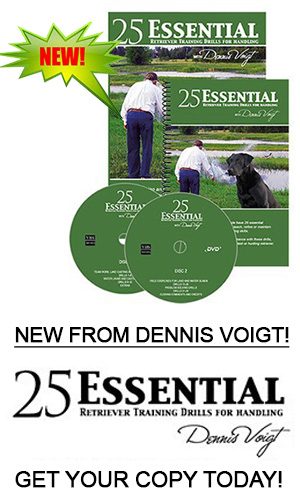 Well, since then there has been a proliferation of training DVDs that have added to the information supply. There have also been many books and several magazines. Our own Retrievers ONLINE has always been primarily oriented to providing training and handling information that works. 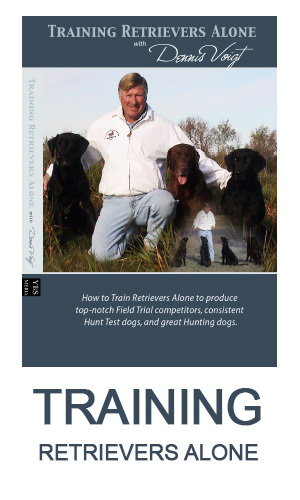 Eventually, Mike Lardy developed a unique Training Workshop format in which a group of dogs and handlers (about 10) would be put through a 4-day workshop and each dog would receive custom tutelage and problem solving. The workshop would progress through a series of diverse setups and exercises to answer many questions and provide many solutions. A group of observers could participate and soak it all in. Time and time again, people would say they didn’t really get it until they saw it in person. The format of having a group of handlers and a group of observers has become very popular. 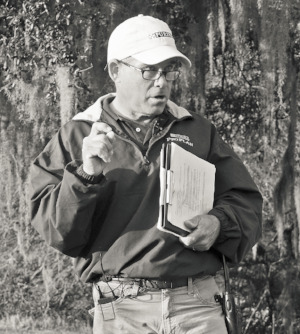 Dave Rorem has excellent workshops with handlers and observers in which he focuses on handling skills, both Basic and Advanced. Pat and Andy have been doing these recently and Mike, Ray Voigt, Pat and I have given a couple of Advanced Workshops together. Mike and I have done a couple of Advanced Workshops out west. Of course, Mike continues with his Basic/Transition Workshops and Advanced Workshops. I note that some of these are for charitable causes. Danny Farmer and Judy Aycock have made a great team and conducted several. In the past, Jim van Engen and Jackie Mertens teamed up. There are probably at least a dozen top professionals around the country that now offer such workshops. People like Bill Hillmann, who has developed a popular puppy training series of DVDs, conducts workshops for those that want more. Evan Graham who developed the Smartworks series of DVDs conducts workshops regularly all over the country. The list goes on but the choices have never been greater. A common question is: “are these workshops worth the cost?” Often times, the cost includes considerable travel, motel, food and then registration fees. While some workshops are only in the $100-$200 bracket for a weekend, other 3-4 day workshops may be $300-$350 for an observer and over $600 for a handler with a dog. Then, of course, there are some that are free. Beware, you get your money’s worth but also note the philanthropy of many top trainers. The value to you of these workshops depends on you. If you are a student you can’t help but gain a great deal information. If you are a newbie you might be overwhelmed so the more homework that you do the more that you will learn. If you are experienced, the opportunity to hear a different viewpoint or a wrinkle or a new understanding can be invaluable. You might learn a thing or two that allows a breakthrough on a particular dog – what is that worth? You might learn something that gives you the Big Blue or even win a National. What is that worth? And finally, simply getting an affirmation of something you already do or believe in can be very important. On that last point, the danger is that some only hear what they want to hear and they reject what is contrary. It’s very important to go to these workshops with an open and inquisitive mind – not with an agenda. In many cases, you will be better off attending first as an observer. This allows you to focus on learning instead of worrying about your own dog as a handler. While doing this, fight the tendency to just think about your dog(s) back home. Remember, there will be future dogs in your life, so all knowledge may become relevant. As a handler, you should also try to focus on all dogs and all applications. However, you will also need to concentrate on managing your own dog. The beauty of being a handler is that it is highly likely that you will discover things about your handling, your training and your dog’s problems that you really, really need to learn. On top of that, I have been to many workshops where a serious problem was either solved or the method required was taught. These experiences could mean the difference between a weak and a great dog. I know of one dog that had problems at a workshop who later won a National. I know of several that went on to become Field champions when it appeared uncertain beforehand. So how valuable is that? Certainly more than the registration fee! Only you can decide if a workshop is good value but I know of very few participants at Workshops that came home declaring it was a waste of money. I know of many instances where people thought something could have been changed or they wish this or that had happened but it is rare for people to say it wasn’t worth it. I would like to describe some aspects of this most recent workshop to illustrate the Workshop Experience. Andy Attar and Pat Burns have given several workshops together and they have gathered a reputation for working extremely well together. Although they have known each other as best buddies since grade school, they each have their own and different way in how they explain and express themselves. That is a real “get two for one” bonus. Both have worked with Mike Lardy for periods and both have also had a long career as professionals with their own kennel. Andy continues to do that but Pat is now doing custom training sessions with individuals for short periods of times, as well as workshops, some of which involve multiple sessions separated by a period of homework. 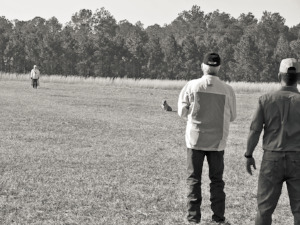 On Day 1, Pat and two experienced handlers set up both an Amateur and a Qualifying stake land test. Handlers were allowed to run their dogs with an e-collar whose use was to be restricted to grievous mistakes. In other words, the workshop was a test of how your dog would behave in competition but if your dog displayed a serious fault that you haven’t been able to address (or solve), you could use it. There was extensive discussion about the test design, the handling and the problems the dogs displayed. After this, we ran a double land blind which elicited a whole different set of considerations from the marks. Next, we did a nearby long distance entry water blind with a contrary “skinny” entry. The field aspect of the day ended with another flyer and two water birds one of which was very long (406 yards) and involved a long entry and then multiple re-entries. Overall, everybody was impressed with the dog work even though most dogs at some point displayed a problem or a weakness or made a mistake. It was a jam-packed day of intense discussion. If this didn’t get you thinking, it was because you didn’t care about learning. The day wasn’t done as everybody headed over to a great dinner party at a local golf club with good food and drink and even more discussion. This event was sponsored by local businesses as well as Purina. Plus there was an excellent raffle and I daresay everybody went home with something. Major Sponsors were Purina, Tri-Tronics and Avery, as is so often the case in many of these workshops that I have been too. These companies are really owed a big thanks for all the support they give our game. There were other sponsors like YBSmedia and Retrievers ONLINE (ahem ). The next day started with an excellent lecture that lasted over an hour but didn’t drag on for a second. Basically, Pat, aided by Andy, gave an excellent synopsis of the most important things in handling a dog at a field trial. Naturally, I can’t describe them all in detail here (that’s why you have to attend a workshop) but they included: First Look, Red Zone, What Are They Thinking? and Reading Momentum Shifts. We then went to an Open land quad, again set up by some All-Age judges. This had a flyer pheasant and two short retired birds with a long visible up the middle. This test was later simplified for Qualifying dogs. As you can imagine, work was variable and discussion was rampant. This was a really excellent session as everybody was focusing on learning what everybody else had to say. We had lots of input from the more experienced and great questions by the newer trainers. Pat and Andy gave many perspectives. Each dog was run in a way partly based on what had been learned the day before. This is what happens at these workshops ideally. On day one, particular issues are discovered about each dog and, immediately the next day, solutions are offered by the presenters. So, gradually, the Workshop drifted from testing to training. After this, we retired to the big top tent for a lunch hour (read two?) 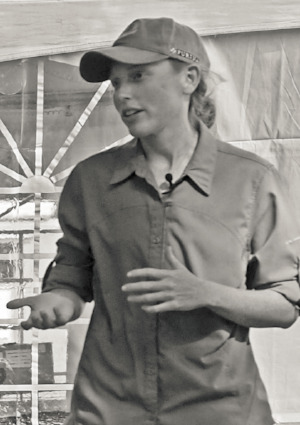 lecture By Dr. Jennell Appell from Tallahassee on warm up and cool down, injuries and rehab techniques for working retrievers. Jennell has become heavily involved with competition retrievers and is playing a major role in rehabbing and improving their performance around the country. You can read about some of her work in last year’s issues of Retrievers ONLINE. A pair of Open and a pair of Qualifying water blinds were run next. These caused an entirely new set of questions to be asked and many opportunities to compare trial strategy versus training procedures. The final series was water marks, again long distance entries. This Workshop was held on John Stracka’s great property which he has developed over the years to provide some unique technical water plus courage birds with many factors. From some vistas the number of options is mind-boggling (see cover photo for one ‘look’). At day’s end, those that could stay were treated to a continuation of the lecture by Dr. Appel but this time focusing on Conditioning. Day three started with various yard drills that can be used for refinement or maintenance or problem solving. These were primarily lining wagon-wheel, No-No drill and Bird Boy Blinds. They gave ample opportunity to discuss many practical and many philosophical ideas about dog training. Andy and Pat were at their best here. On this day each dog got custom work dependant on needs. I stayed with the boys on the weekend and can tell you how they were up late every night as they poured over notes about each dog. We had great discussion about each handler and dog and what would be best the next day. The point is that these things don’t just follow a script but such workshops are dynamic and responsive to needs. In addition, there is always a lot of behind the scenes preparation, organization and trouble-shooting. This is often done by a coordinator. In the case of this Workshop, Deb Marmarelli played a very active role from announcement to finish and was very involved ensuring that all went smoothly. I know not all workshops are like this but, for me, these adjustments based on needs displayed the day before are very educational. Everybody gets to know the dogs and see the implementation of suggestions and the responses of the dogs and handlers. It’s sort of a coming together of everybody at the workshop. After the early yard work, we went to the water hole of yesterday’s water blind. I explained a Swim-by Tune-up for more advanced dogs. Two dogs were coached through it and many who had never seen this realized how you can easily teach a dog to do some advanced skills while also uncovering basic weaknesses. Later, other dogs got custom work related to blinds and then a two short marking drill. Finally, we ended up with a big land double and a blind. This included a long flyer and a long retired. Cover, wind, visibility, obstacles and terrain were challenges. Once again, we saw some excellent work and some struggles and solutions for problems. This took until dusk, when all limped home with their brains full and feeling satiated. I picked this workshop and described some details to illustrate what the workshop experience can be like. All the workshops that I have been to have been different but the kind of experience I describe is commonplace. The real question is, what do you get out of it afterwards? Almost our entire Florida winter training group attended this workshop, so it was really excellent the following week of training to be able to compare notes on the same basis. We discussed and discussed our various “Eureka” and “Ah-Hah!” moments. Those tend to vary by individual. This can be so true in dog training. Harry also has said, “It’s never obvious to the oblivious.” I mentioned this at the Burns/ Attar Workshop and it got referenced over and over. But the lesson is that if you’re not aware of something, you won’t learn from it, you won’t try to fix and you won’t improve. This might be the kind of thing that you are not ready to hear or to understand. It may take years to be able to do so. I think of the two other common approaches. One is “show me, show me, teach me and avoid all conflict, seek success.” This works but you may end up with a dog who can’t think or when confronted with a dilemma, the dog falls apart. The other school is “set the dog up for a mistake and correct.” Test and let them learn from their mistakes. Pat’s lesson was that there is a way for competitive dogs that lies in the middle and is distinctly different than the “Show Me” and the “Correct Me” schools. I know that this is a challenge and very hard for all of us to implement. On occasion, people watch and think I am pushing the dog too hard when I was quite comfortable with the dog struggling. On other days, I would be showing and simplifying for the same dog and you would think I was babying the dog. I will be the first to admit achieving this fundamental approach to training is difficult. I think our group has discussed this idea more than anything these past weeks. The important lesson is that we as a group are less oblivious to the obvious. I think these sorts of insights are one of the great benefits from the Workshop Experience. Sure, you should get some new techniques, but insights to overall approach and philosophy is the gold. I want to close with these thoughts. I mentioned that several of our training group went to the same workshop. This gave us a real common ground to discuss improving our training as well as solutions to our problems when we got back. We didn’t always agree – that’s not the point! But we were collectively searching to be better and we could share our thoughts without having to explain a revelation that took 3 days to develop. I distinctly recall coming home from some “eureka” horsemanship clinics and having nobody to discuss with what I learned. (Well, actually, I had the best listeners and the best coaches possible – my horses! But they do speak a different language and some days they don’t talk much.) As a Master Horseman said, “Nobody can think like a horse as well as a horse can!” (Ditto for dogs.) I also recall the tremendous stimulation and inspiration I would get when I was working as a Wildlife Research Scientist. I would come back from lifetime experiences like studying moose in Sweden or radio-tracking foxes with an Oxford professor or weeks in the outback of Australia and try to relate to my colleagues what I had learned. While they also were intellectually inclined it was not the same. They hadn’t been there – our discussions were one-sided as only I had been there. The lesson is that if you can go to a workshop with a fellow trainer or somebody that you can later discuss it with, your workshop experience will deepen and live on. Just more food for thought! Consider a Workshop Experience in your future. 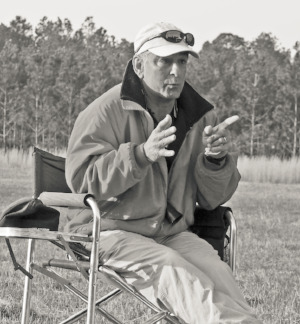 Editors’ Note: You can find out more about Pat Burns and his services at www.PatBurnsRetrieverTraining.com. Andy Attar’s website is www.andyattar.com. If interested in a Workshop like the one I described here, Pat and Andy plan another one in the Florida/Georgia area next January. Keep checking their websites. Photo 1. Pat discussed key requirements for effective handling. Photo 2. 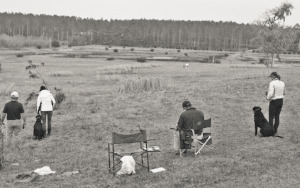 The field setups were run like a field trial and many dogs had their game-day behaviour on. Photo 3. Several group lectures focused on philosophy and approach to training. Photo 4. Dr. Jennell Appel gave two lectures covering injuries, rehab and conditioning. Photo 5. Andy teaches problem-solving with BB Blinds. Photo 6. Andy gave examples and lessons from some of the great dogs like Lottie and Tank.